We are offering high and fine quality Leather ID Card Tags to our most reliable customers, these Leather ID Card Tags are made by using very high and fine quality leather raw material due to which these Leather ID Card Tags are widely demanded by all. 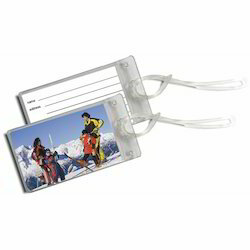 We provide Guard ID Tag in a number of shapes and specifications to suit your security needs. It is easy to carry and has auto detect card memory. It comes with an all in one card reader, and requires no external power. It can also be connected with bags or cloths as decoration. Our affluent industry experience and understanding have helped us to offer Child Patient ID Tag. The offered tags are skin friendly in nature and easy to tie. 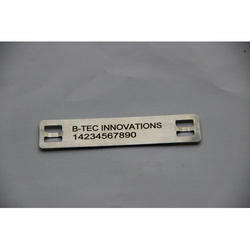 These tags are offered in variety of sizes to fulfill the needs of the clients. Our clients can avail these tags within the set time-frame from us. Banking on the skills of our qualified team of professionals, we are instrumental in offering supreme quality range of Mother ID Tag.